This reddish-gold spice may have a role in relieving symptoms of premenstrual syndrome (PMS) and depression. Most Americans know saffron as the costly spice that lends a golden hue to paella and bouillabaisse. But according to research from Iran’s Roozbeh Psychiatric Hospital at Tehran University of Medical Sciences, the reddish-gold strands—dried stigmas of Crocus sativus—may have a role in relieving symptoms of premenstrual syndrome (PMS) and depression. Recently, Shahin Akhondzadeh, Ph.D., and his colleagues gave 50 women with PMS two (15 mg) saffron capsules or placebo capsules daily over two menstrual cycles, keeping track of their symptoms in diaries. By the end of the study, over three-quarters of the women who had taken the equivalent of a micropinch of saffron reported that their PMS symptoms (such as mood swings and depression) declined by at least half, compared with only 8 percent of women in the placebo group. 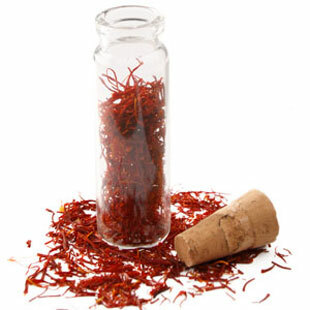 In fact, saffron has long been used in traditional Persian medicine as a mood lifter, usually steeped into a medicinal tea or used to prepare rice, says Akhondzadeh. In previous studies, he found saffron had antidepressant effects comparable to the antidepressants fluoxetine (Prozac) and imipramine (Tofranil); he posits that the spice works by “the same mechanism as Prozac,” helping to make the feel-good neurotransmitter serotonin more available to the brain. 6 Remedies for Sleep Problems—Do They Work?